Summer is full of outdoor music festivals where tie-dye, the spirit of The Grateful Dead, and the iconic peace symbol live on. 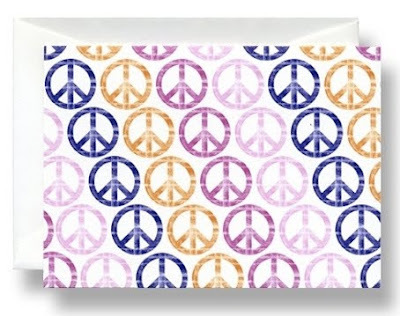 The peace sign motif has resonated from generation to generation for over five decades. In fact, the embracing of peace signs and tie-dye is almost a rite of passage for American teens. We designed our Peace Paradiso Notes just for them, with an array of tie-dye colors litho-printed in a distressed style to emphasize the symbol's vintage heritage. Having trouble getting your teens to write thank you notes? 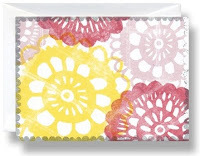 Maybe a box of Peace Paradiso Notes will do the trick! 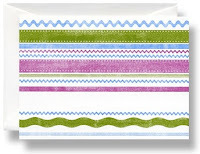 All Notes in the Paradiso Collection of boxed stationery by William Arthur can be found here. 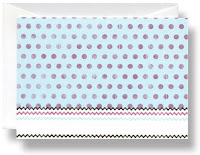 Including: Peace, Ribbons, Blooms and Dots Paradiso.